Sleep is characterized by two alternating phases, rapid eye movement (REM) sleep and non-rapid eye movement sleep (NREM). These phases are defined by brain wave activity, muscle activity, and eye movements. As people start to fall asleep they enter into the lightest of the four stages of NREM sleep, Stage 1. As sleep continues, people descend into the deeper states of sleep down through Stages 2 and 3. Then, people move back up through these stages and enter a REM episode. When people are awakened during REM sleep, they often report having been dreaming. This term refers to things that occur rhythmically roughly every 24 hours. The sleep-wake cycle is one of the most obvious of our body’s circadian rhythms. Other circadian rhythms include body temperature and secretion of many hormones. These rhythms are controlled by a time-keeping mechanism (or clock) in our brains. This clock can be influenced by a variety of internal and external parameters, including aging, time-zone shifts, exercise, melatonin and the light-dark cycle. The light-dark cycle is the strongest external parameter affecting this clock. As people age, they experience a number of changes in their circadian rhythms, and among the most noticeable are the changes in the sleep-wake cycle. Older people tend to wake up earlier and go to bed earlier than they did when they were younger. They wake up more often during the night and have more difficulty going back to sleep than younger people. They also tend to sleep more during the daytime hours. Therefore, if one looks at total sleep time over the 24-hour day, the total time spent sleeping changes very little but the distribution of sleep may be quite different. Younger people experience a consolidated nighttime episode with little or no daytime sleep, whereas older individuals experience sleep episodes throughout the 24-hour day. Daytime sleepiness is affected by two major factors: the amount and quality of nighttime sleep, and the strength of the circadian rhythm. In addition, older people tend to have a reduced amount of N3 or deep slow wave sleep. In general, research seems to indicate that people with Parkinson’s disease have more sleep disruptions than similarly aged people without the disease. The most commonly reported sleep-related problems are the inability to sleep through the night and difficulty returning to sleep after awakening, generally referred to as maintenance insomnia. Unlike many older adults, patients with Parkinson’s disease often find that they have no trouble initiating sleep, but often wake up within a few hours and find sleeping through the rest of the night to be difficult. 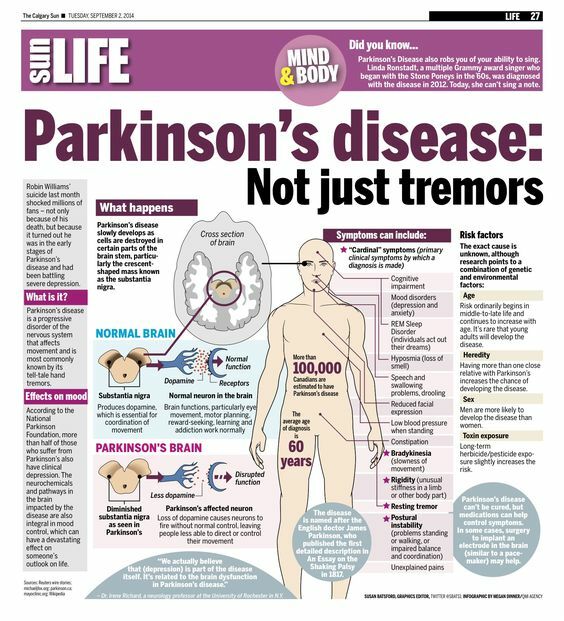 People with Parkinson’s disease also report daytime sleepiness, nightmares, vivid dreams, nighttime vocalizations, leg movements/jerking while asleep, restless legs syndrome, inability to or difficulty turning over in bed, and awakenings to go to the bathroom. Although all the reasons for these sleep changes are unknown, potential explanations include reactions to/side effects of medications (e.g. dopamine agonists, levodopa) and awakening due to symptoms such as pain, stiffness, urinary frequency, tremor, dyskinesia, depression and/or disease effects on the internal clock. This entry was posted on Tuesday, March 6th, 2018 at 00:03	and is filed under Uncategorized. You can follow any responses to this entry through the RSS 2.0 feed. Both comments and pings are currently closed.